Thanks for teaching me this. Autotomise. Love it. 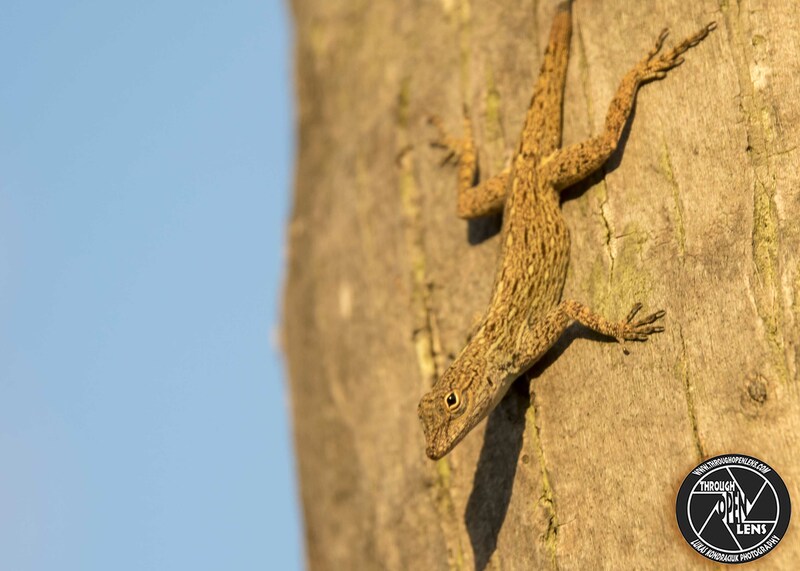 Anoles belong to the Iguanid family of lizards, with hundreds of species–all of whom do those “push-ups” to intimidate rivals. Oddly, certain members of the unrelated Agamid family–the Australian bearded lizard, for instance (popular as pets nowadays)–also do “push-ups” for the same reason. The two families are not related, they’re geographically separated by the Atlantic and Pacific Oceans, and yet they share this peculiarity of behavior. Hmmm…. I had lots of anoles growing up. Sometimes you’ll hear green anoles referred to as “chameleons.” They are very far apart from true chameleons, however, they can change color — the only reptile found in North America that can do so! (nothing too crazy though — just shades of green/brown/black).